In March of 2013, a debate began here about Alister McGraths claim that C. S. Lewis wrongly dated his own conversion to Theism . Since then, an unpublished autobiographical manuscript about that conversion has come to light, establishing with some precision the time period when that conversion actually took place. The manuscript itself helps to establish the general time period of the Theistic conversion. Early Prose Joy appears in one of Lewiss notebooks, a few pages after a draft of the poem The Nameless Isle, which Lewis dated Aug. 1930. While this fact is not in itself conclusive, we can assume that Lewis penned Early Prose Joy sometime after August 1930. Because Lewis only describes a conversion to Theism and not to Christianity, in all likelihood he wrote this account before becoming a Christian in late September 1931. But can we discover more precisely when Lewis converted to Theism? In fact, three passages from within Early Prose Joy do just that. This manuscript proves that when Lewis gave in, and admitted that God was God, and knelt and prayed, it was not  in Trinity Term of 1929  as he states in Surprised by Joy . Instead, he did so within a ten-day span in early June, at the end of Trinity Term, 1930. Early Prose Joy entirely supports McGraths conclusions. In this piece, Lewis describes writing the February 3 note to Barfield as an important milestone leading up to his conversion. This fact alone proves that the conversion could not have taken place in 1929 and must have happened sometime after February 3, 1930. A second piece of internal evidence pointing to a 1930 date for conversion comes, somewhat surprisingly, from a comment by Lewis in Early Prose Joy about learning how to dive. In a pair of letters to Arthur Greeves from July 1930, Lewis recounts a late-June visit to Barfield, during which they enjoyed some lovely bathes. Lewis writes, I learned to dive, wh[ich] . . . is a great change in my life & has important (religious) connections. Ill explain that later. If Lewis ever explained that to Greeves in writing, we have lost it. But perhaps he did explain the connections. First in Early Prose Joy and later in The Pilgrims Regress , Lewis makes much of the spiritual implications of diving , an action that requires the surrender of ones whole being to God. 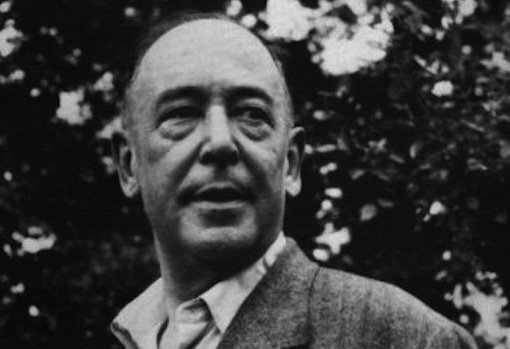 In the Early Prose Joy manuscript, Lewis also records that he learned how to dive in the same year and the same month that he converted to Theism. And because we know that Lewis learned how to dive during the last week of June 1930, we can conclude with some certainty that the Theistic conversion took place that month. A final clue solidifies the correction of the chronology, narrowing the possible date range of the conversion to between June 1 and June 10. Early Prose Joy details Lewiss extreme reluctance just prior to his conversion to address a God in whom he still did not believe. In conversion, Lewis overcame this difficulty; Surprised by Joy describes how Lewis knelt and prayed once he admitted that God was God. If we could determine when Lewis first prayed, we would therefore have a very good idea about when the conversion took place. On June 10, 1930, Lewis wrote a letter to Barfield and, as was his habit, he included the draft of a poem requesting feedback. This poem, later published as Prayer, explores the deep human need for God and for prayer. Therefore, by June 10, Lewis had in all likelihood both prayed and written a poem about it. By pulling together these various strands, we can now craft a definitive timeline. In 1930, Trinity Term ran from April 27 to June 21. If Lewis gave in to God the month that he learned to dive”June 1930”and he began to pray no later than June 10, we can conclude with confidence that Lewiss Theistic conversion took place one evening between June 1 and June 10, 1930. April 27“June 21, 1930: Trinity Term. June 1“10, 1930: Lewis converts to Theism. June 10, 1930: Lewis sends Barfield a poem about prayer. Late June/early July 1930: Lewis visits Barfield and learns to dive. July 1 and 8, 1930: Lewis writes to Arthur Greeves about the Barfield visit. August 1930“September 1931: Lewis writes Early Prose Joy, recounting his Theistic conversion. September 28, 1931: Lewis converts from Theism to Christianity. So why does this corrected dating matter? First of all, it validates McGraths conclusions in C. S. Lewis: A Life about the actual dating of Lewiss conversion to Theism. Secondly, it shows us how easily mistakes can arise, especially regarding dates. Sometimes, Lewis was wrong. And if nothing else, this bit of chronological detective work issues a fairly clear call for increased precision and depth in the scholarship on Lewis, all the more so at a time when his star continues to rise. Andrew Lazo is the co-editor of Mere Christians: Inspiring Stories of Encounters with C. S. Lewis . An article of his on the Early Prose Joy manuscript recently appeared in SEVEN: An Anglo-American Literary Review ; further information and writings are available on his website .